SARASOTA, Fla. (AP) — Brandon Hyde’s style is totally different from his Baltimore Orioles’ predecessor. 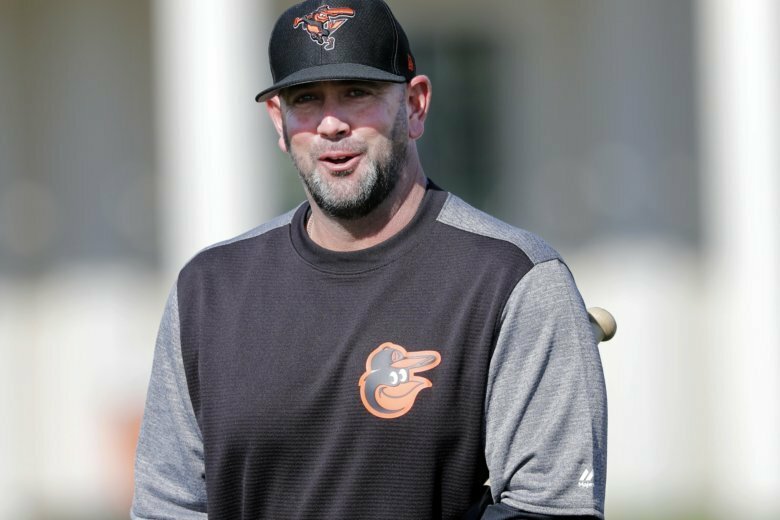 Under Buck Showalter, who had managed the Orioles for more than eight seasons until his dismissal at the end of last year, it was all business during spring training. There are more light moments under Hyde, though he says is focused on teaching and preparing for the season. When players began workouts they heard music blaring on the practice fields. Even beards, which had been long prohibited, are now welcomed. Hyde has run spring training in both the minor and major leagues, most recently with the Chicago Cubs, and he doesn’t want preparation to equal drudgery. “When you’ve been a minor league coach, and you’ve been on Field 76 in the back, and it’s 97 degrees out, and there’s no music, I know what that feels like,” Hyde said. Hyde’s methods have been welcomed by veteran players. Alex Cobb, the right-handed pitcher who signed late in spring training last year, said the new staff has created a positive atmosphere among players. “They know how to create a relationship that’s going to last throughout a full season,” Cobb said. “They want to play for their skipper. They want to play for their pitching coach because they don’t want to disappoint them. Hyde was Joe Maddon’s bench coach with the Cubs last year, and Maddon is known for team-building exercises, and while Hyde hasn’t had his players dress in pajamas or hockey jerseys, he’s made things looser. The 45-year-old Hyde was hired by Baltimore’s new general manager, 36-year-old Mike Elias. Spring training is halfway over, and while Baltimore faces a difficult task in beginning a rebuild after suffering a franchise-record 115 losses last season, Hyde is having a great time.